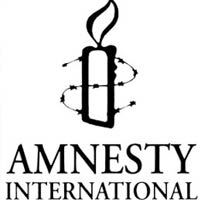 In its 2007 annual report concerning the human rights, Amnesty International noticed serious violations of human rights in Algeria and in the camps of Tindouf. In this report, amnesty international points with an accusing finger the leaders of the Polisario with at its head Mohammed Ben Abdelaziz. The eagerness of Algiers to lock the access to the defenders of the international human rights illustrates a deliberated will to maintain the blackout on the serial violations of the human rights on its territory. Americans ONG also organized meetings about the situation which prevails in the camps of Tindouf and the sufferings that the sequestered populations endure. Those meetings were held in Lancaster (Pennsylvania) at Pontiac (Michigan) and Colombus (Ohio) under the sponsorship of the reverend Rob Schenk, president of the national council of the clergy based in Washington. Participants listened to testimonies on the martyrdom of the refugees. The assistance was moved by the story of a small girl who does remember her father as a man beaten and humiliated in the public place; a small girl whose childhood was broken at the age of 9. She was sent to Cuba without her family where she lived in exile. Another poignant story is of a doctor who witnessed powerless the suffering of his fellow-citizens: the drugs which could have saved the diabetic or tuberculosis, the antibiotic which would have made it possible to avoid an amputation had been stolen by the Polisario. Underlining the responsibility of Algeria in this humane drama which proceeds on its ground, the reverend Schenk insisted in opening the doors of the camps of Tindouf so that the populations who are held over there are free to leave and to have a better life. in a documentary on families in the camps, the Australian journalists Violeta Ayala and Daniel Fallshaw affirm having witnessed scenes of slavery and have been able to collect testimonies confirming the existence on a large scale of this practice. Arrested by the Polisario security forces, the two journalists were released after intervention of the Australian ministry of the Foreign Affairs and the Australian embassy in Algeria. Reporters without borders had then indicated in an official statement that “the representatives of the Polisario Front would have reproached to the two journalists to be interested in the fate of the black refugee sahraouis”. From their part, some British ONG challenges the international community about the inhuman conditions of the refugees. When meeting with the press, Lord Francis Newall (president of IICPT), said that the international community, including the United Nations, must intervene to put all the light on the violations of the human rights of which are victim the sequestered people of the Tindouf camps, in particular the women, the children and the old people. Reacting to the partial conclusions of the High Commission to the human rights, the Moroccan government did not agree with the report established by the mission of the HCDH judging it not conform to the spirit of the letter of October 5, 2005 relating to the mandate of the delegation. This largely asymmetrical report devotes its major part to the Western Sahara and is focused primarily on the rights to self-determination, even if its mission had as objective: to go to Algeria, to the Kingdom of Morocco, to the Western Sahara and to the camps of Tindouf to consult the proper authorities, to gather the relevant data on the field enabling them to make recommendations concerning the human rights. the unavailability of additional investigations on the human rights in the camps of Tindouf is a statement of failure for the mission which was not able to fully achieve its mandate there; worse, the declaration of the people in charge in the Polisario as that the basic rights “are suspended” is left without comment in the report and testimonies of the victims of the human rights were censured. The reports of International ONG, in particular Amnesty International, France Freedoms and «US-Refuges committee” was purely and simply ignored. Algiers profited from an obvious complaisance in total contradiction with the international responsibility which Algeria as a country of asylum, holds on the tortures inflicted on its territory to the former Moroccan prisoners and the refugees. In an article though partial published in the newspaper Le Monde of October 8, 2006, the journalist Jean Pierre Tuquoi notes that the Office of High Commission of the human rights recalls that “the right of self-determination for the people of the Western Sahara must be set up without awaiting”, for the journalist, it is about a confidential report established by a mission left to inquire in May and June on the situation of the human rights in the Western Sahara and in the camps of the refugees of Tindouf in Algerian territory. The weekly magazine Al Watane Al Arabi, wrote in its edition of October 20, 2006 “that Morocco paid the price of its democratic choice, when it allowed the members of the Commission (HCDH) to move freely in the Sahara, to audition the people it wishes when in the camps of Lahmada, the introduced people were chosen by the Polisario and its supporters. The publication of the Commission Report in spite the confidential character is not other than an outlaw act. ” The Moroccan authorities cannot deny that sometimes a demonstration of young people in Smara or Dakhla is sometimes neutralized by more muscular methods than a youthful demonstration in Meknes or Marrakech and this by excess of vigilance. In Morocco, the demonstrations of young people in social or political matter are frequent. Since the democratic opening, the demonstrations of young people in the Sahara, who are not more numerous than in other areas of the Kingdom, are however largely covered by the national press. The atrocities, persecutions, the distress, the cries and the gestures of despair, as many sufferings undergo the refugees of Tindouf at the 21st century, cannot be described in some lines. And if judge Garzon endowed in the combat against the violations of the human rights, needs only complaints to act on what occurs in Tindouf, he will receive them per thousands not on the basis of doubtful allegation truncated and vague but on irrefutable evidence. Remain for him to be equitable and independent. While waiting for the end of this comedy, the dissensions within the direction of Polisario is heralding its inevitable bursting, that the international community can find an exit to this drama without precedent. It is the fate of the refugees held as hostages who is worrying. The HCR must work hard to alleviate their traumatism and their sufferings and the umbilical cord between the families forced to separation should not in any case to be cut. A more intense reactivisation of the programs of the family visits and connections of communications which the final meeting again can be held without conditioning or pains is needed. The truth and justice, values of any ideology, finding their ruts in the universal morals of the human rights, will finish without any doubt, by triumphing over the madness of the men.